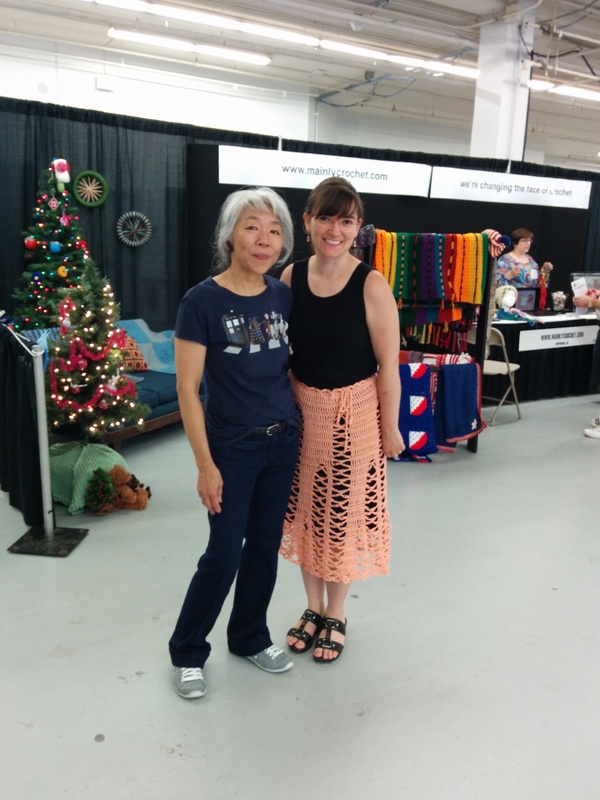 Fishnet Crocheters Win at the 2016 Big E! 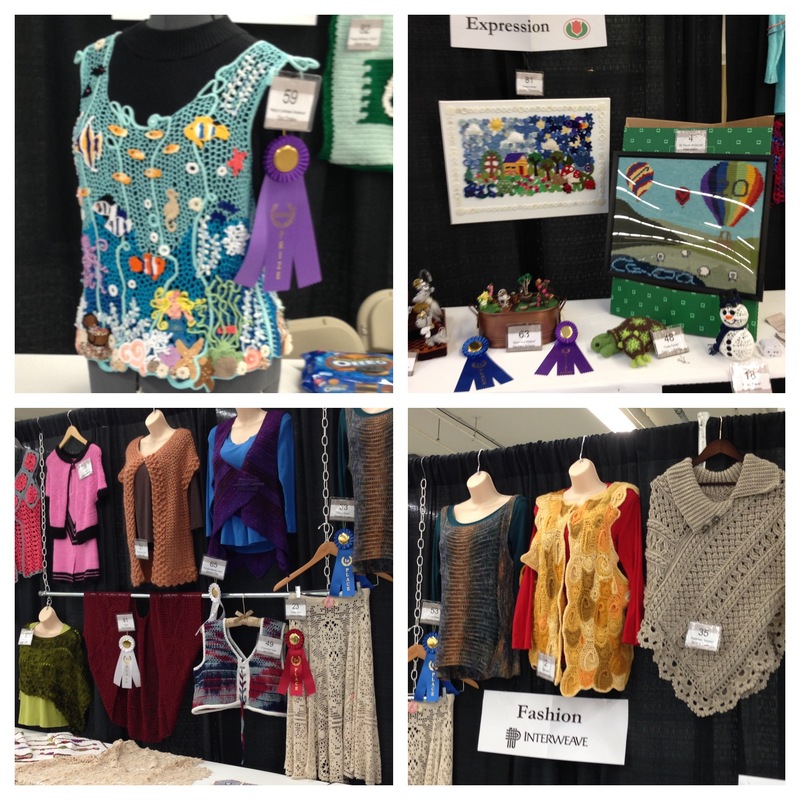 Join us in congratulating Fishnet members Ali, Allison, Barbara, Karen, and Michele who won awards for entries in the Big E.
Ali, Allison, Barbara, and Karen placed for their crochet creations in various categories, including Baby, Scarves/Cowls, Sweater, and Wearing Apparel categories! 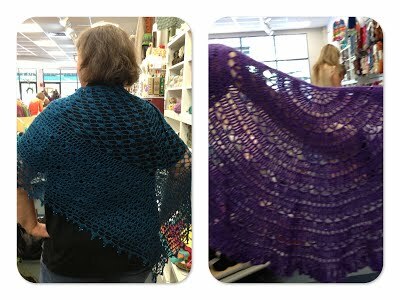 Our multi-talented members also entered in non-crochet categories. Barbara placed in the Dolls competition and Michele placed in the Knitting competition. We’re pleased to be so well represented! Results are announced before the Big E begins, so there is still plenty of time to go and see these and other creative arts projects in person. The Big E runs from Sept. 16 – Oct. 2 in Springfield, MA. We will be meeting at Auntie Zaza’s in North Easton, in their lovely classroom space at the back of the shop, on our usual last Sunday of the month. 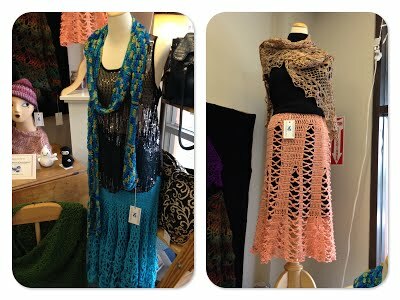 On display in the shop will be some of the pieces from Zaza’s “Coral Reef”. We will be hearing some of the story behind this art display, it’s previous installation, and a bit of the story behind the worldwide Hyperbolic Crochet Coral Reef Project. We will also explore hyperbolic crochet and try some techniques ourselves. Barbara will bring her “Brain Hat” and Mary will bring her “Brain Coral Flower” for inspiration. There will also be links to other patterns that have been used in the Coral Reef Project. Auntie Zaza has offered us a 10% discount if we want to shop while we’re there. Bring your charity items to pass. All are welcome. RSVP to fishnetcrocheters@gmail.com if you plan to attend. Please do not call the shop. Fishnet Crocheters Win at the Big E! 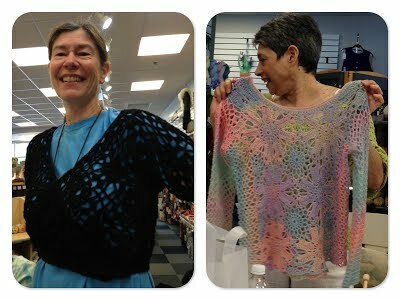 Join us in congratulating Barbara and Michele who placed for their crochet creations in the Wearing Apparel and Toys categories! Barbara also placed in the Dolls competition and Michele also placed in the mixed media competition. We’re pleased to have such diverse talents represented in the group! Results are announced before the Big E begins, so there is still plenty of time to go and see these and other crochet works in person. The Big E runs from Sept. 18 – Oct. 4 in Springfield, MA. 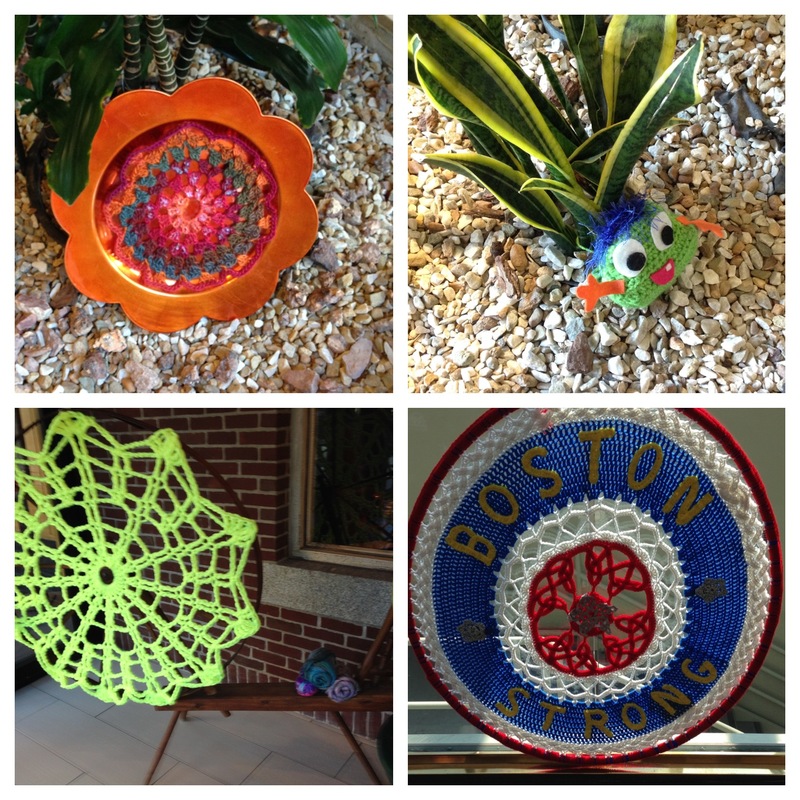 Self-guided tour of yarn shops in the greater Boston area. Giveaways, door prizes & specials. We’re pleased that Fishnet Crocheter Mary Westland was asked to create the official crochet “Freedom Trail” shawlette for the event. 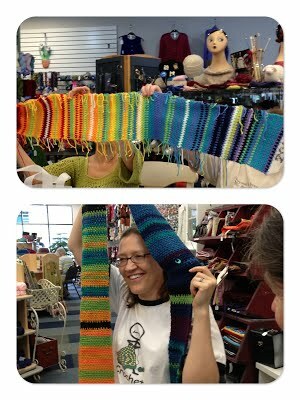 Several Fishnet Crocheters tested the pattern and we all loved the results! Pattern available on Ravelry. 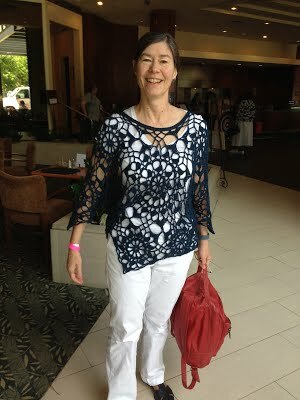 A large contingent of Fishnets attended the annual CGOA Chain Link conference. We are so fortunate that the conference comes to Manchester, NH so often. We attend classes, shop the market, and generally have a good time together. 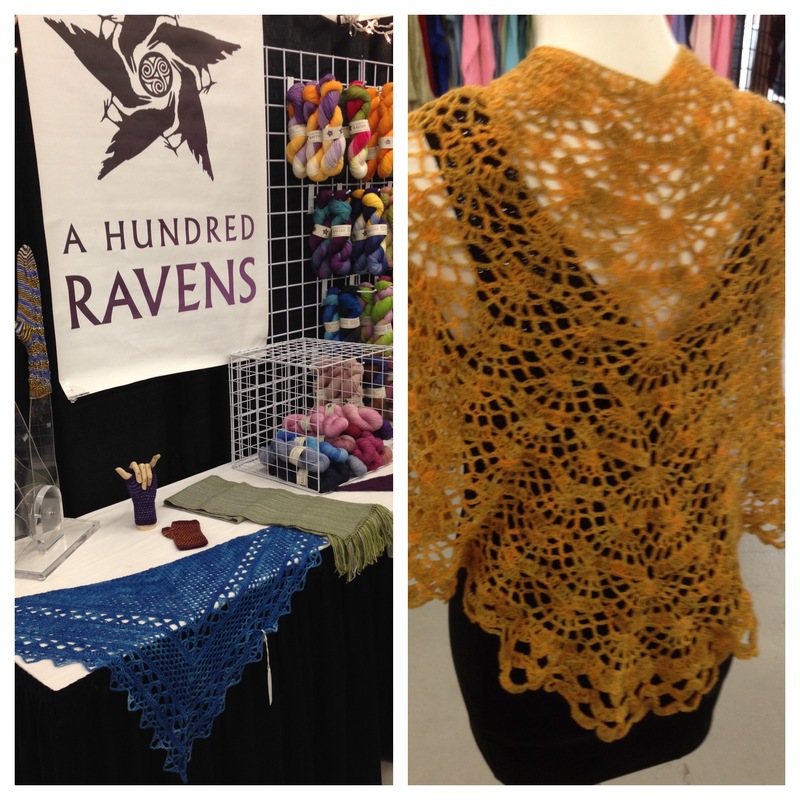 This year, 2 of our members had items on display in vendor booths. And the design competition is always inspiring! And hobnobbing with the incomparable Doris Chan! 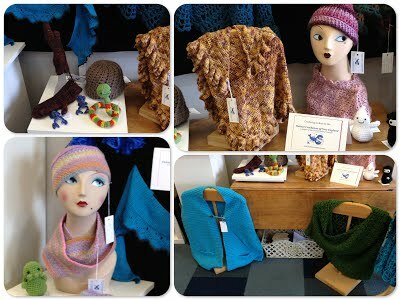 Many of our projects are featured again in a window display at the Woolpack yarn shop in Acton, Ma for the month of July. Visit the Woolpack and check them out! We were pleased to provide items for a display at the Woolpack for the month of October. The display will be up until Oct 24-25. 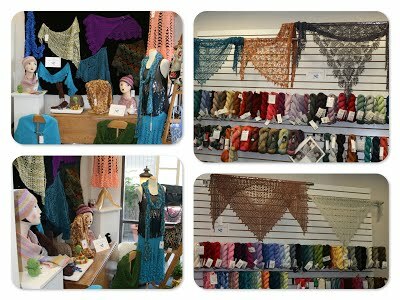 Please stop by and take a look and browse for some lovely yarns while there! Here are a few pics of our goodies. Meetings resumed at the Cary Memorial Library in Lexington. We will continue to meet here during the coming school year unless otherwise posted. We enjoyed another session of show and tell, learned information about more charity projects for us to participate in, and then learned a new stitch, the 2 color Catherine Wheel. We also tagged items for our window display at the Woolpack yarn shop in Acton. 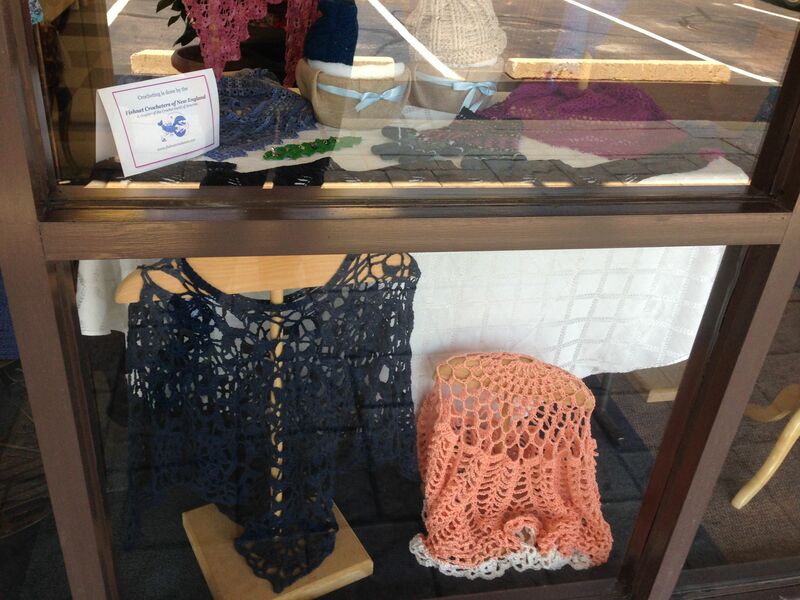 Crocheted items from the group will be on display through the month of October. Please visit the shop! Congratulations are in order for several members of the Fishnet who won ribbons for their work at the Big E. In addition to entering crocheted items, some Fishnets entered in other categories as well – dolls-making and weaving. 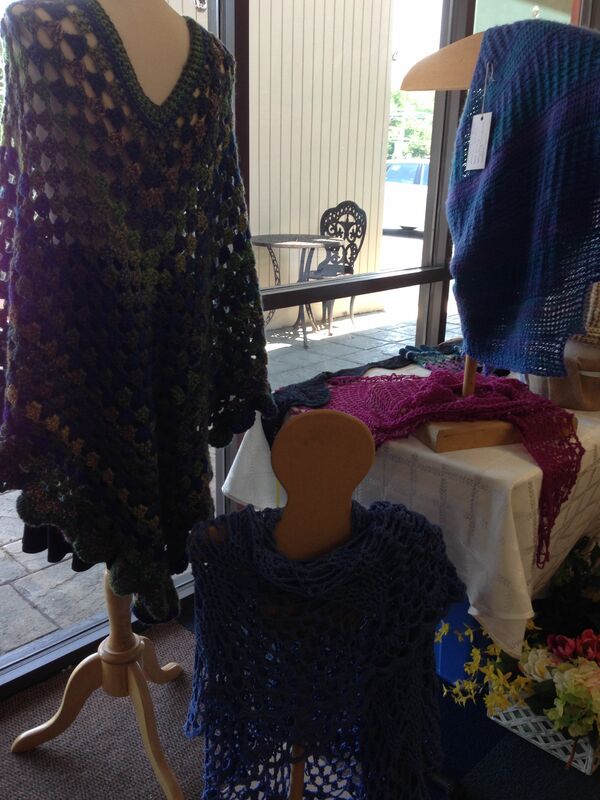 Our June meeting was held at the Woolpack in Acton Ma. 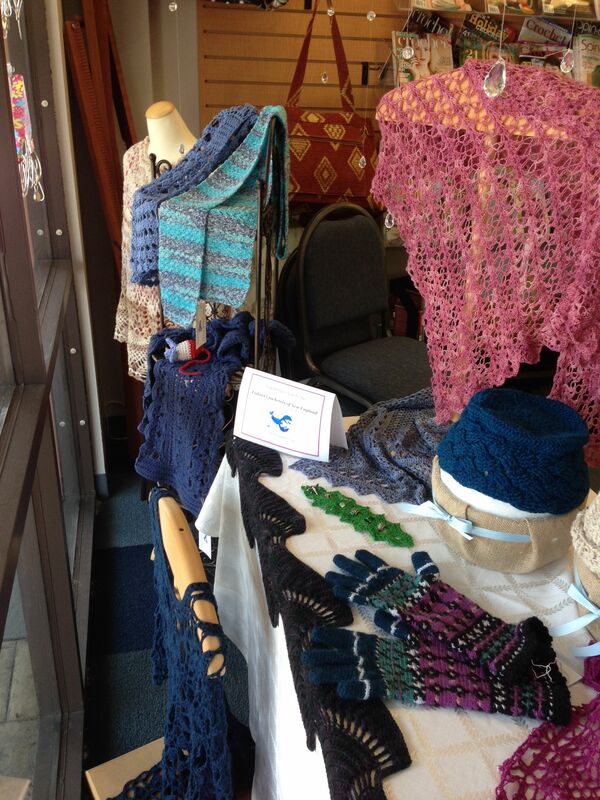 Projects shared included temperature scarves from our crochet-along, sweaters, and shawls. 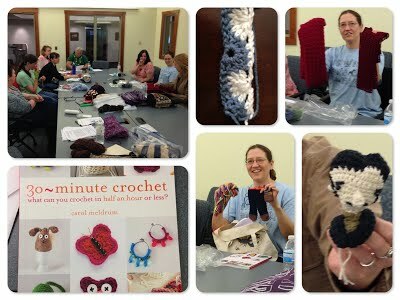 Following show and tell, our guest speaker was Jane Chapman from the Big E who spoke to us about entering our finest crochet items into the fair. 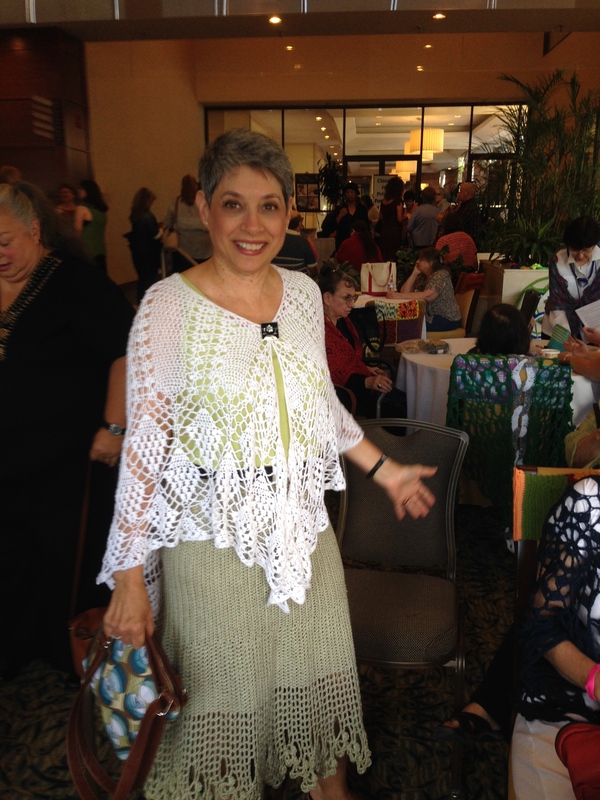 dlgesing on Join Us Oct 2016 – Crochet Motifs!